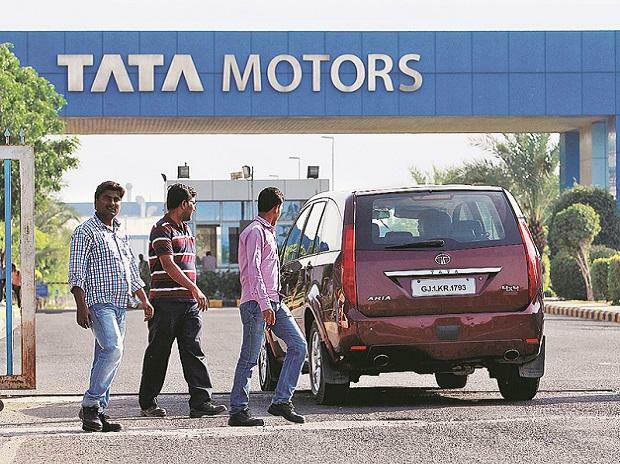 Tata Motors expects to address 95 per cent of the passenger vehicle (PV) market by 2020, up from a little less than two-third now. There would be multiple product launches in segments where it currently doesn't have a presence, said Mayank Pareek, president for PV business at the company. "Currently, we are not in the fast-growing segments, including the large hatchback one, and only 60 per cent of the addressable market. That's one big correction we have done — we will be making sure that by 2020, we are in 95 per cent," said Pareek. The other step, he said, was to rationalise the number of platforms from the current six to two by 2020. This would allow it to reduce complexity, use common parts and, hence, cut costs by at least 18-20 per cent. "You can't have all the models based on different platforms," he explained. As part of this plan, all new models will be derived from only two new platform architecture — either based on the Advanced Modular Platform or the Land Rover one. An average car buyer doesn't buy platforms. "Whatever a customer touches and feels should be different," said Pareek. Pareek refused to comment on specific product plans. According to a person in the know, who didn't want to be identified, Tata Motors will from calendar year 2019 have its new product pipeline full. First off the block will be a premium SUV, codenamed Q5. Based on the Land Rover platform, the model is expected to be launched in the first half of next year and come with a five-seat and seven-seat option. Followed by a premium hatchback, a Suzuki Baleno competitor, code-named X451, in the fourth quarter of the next calendar year. And, a mid-size sedan codenamed X445 that will be pitted against the Honda City, in the first quarter of calendar year 2019. Beside new models in the pipeline, Pareek's confidence on being able to address and have a bigger pie in the PV market stems from Tata Motors's recent surge in volumes. 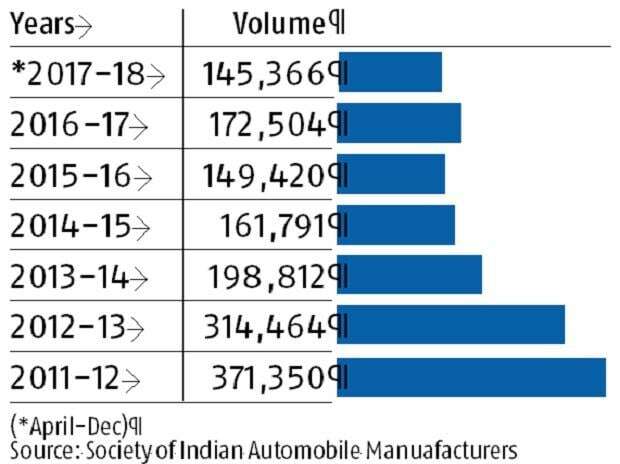 Helped by product launches, including of the Nexon, Hexa and Tiago, PV sales rose in the first nine months of this financial year to 145,336 units, from 126,733 in the same period a year before, shows data from the Society of Indian Automobile Manufacturers. Its market share in the segment rose to 5.99 percent as compared to 5.65 per cent in the corresponding earlier period. In December, sales rose 31 per cent over a year before to 14,180 units, the highest such rise in five years. Tata Motors is also working to reduce the number of PV suppliers from the current 495 to 120 in the next two years, said Pareek. The aim is to create a well-tiered structure and increase outsourcing of parts and sub-assemblies to automobile component firms. Supplies are now coming on-board in a very early stage of product development. "This is a big departure from our previous procurement strategy," he said. "Tata Motors' efforts to turn around the PV business is laudable. However, it has still to peak out," said Mahantesh Sabarad, head of retail research at SBICap Securities. He says results will be visible once capacities are utilised better, in turn helping the company in cost and profit.